Team Suzuki Press Office – July 22. 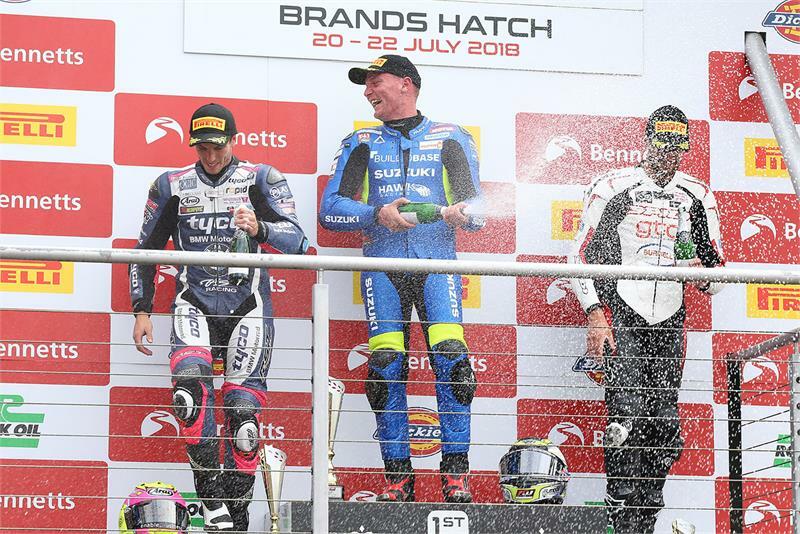 Billy McConnell raced his GSX-R1000 to victory in the second National Superstock 1000 race at Brands Hatch this weekend, bouncing back from the disappointment of crashing out of Saturday’s race. In the Bennetts British Superbike class Richard Cooper qualified on the third row and raced to a strong seventh-place finish in race one. In race two he bolted off the line to slot into second in turn one, before settling into fourth place. Running at a competitive pace, he was unlucky to crash out of the position at Paddock Hill bend on the sixth lap. Unfortunately it was a weekend to forget for Bradley Ray, as he struggled to find a set-up that gave him the confidence he needed to be competitive. He finished 13th and 16th. However, he now heads to the Suzuka 8-Hour to compete with the Yoshimura Suzuki team, while McConnell will also be competing with Team R2CL Suzuki. Superstock race one result: 1. Joe Collier, 2. Josh Elliot, 3. Alex Olsen, DNF. Billy McConnell (Buildbase Suzuki). Superstock race two result: 1. Billy McConnell (Buildbase Suzuki), 2. Keith Farmer, 3. Alex Olsen. Superbike race one: 1. Josh Brookes, 2. Glenn Irwin, 3. Leon Haslam, 7. Richard Cooper (Buildbase Suzuki), 13. Bradley Ray (Buildbase Suzuki). Superbike race two: 1. Josh Brookes, 2. Glenn Irwin, 3. Leon Haslam, 16. Bradley Ray (Buildbase Suzuki), DNF. Richard Cooper (Buildbase Suzuki).